I had an argument a few days ago with a co-worker that I spend a lot of time with. I set up time that afternoon to meet with the person and work things out. I was full of righteous anger but when we got together I started the conversation the way I always do which is to ask questions first rather than jumping right in with my own thoughts. I’ve learned over time that asking questions and listening first gives me a better feel of the lay of the land and can help me avoid finding my foot in my mouth. We did a good job of hashing things out in our meeting. I was struck by how poorly I had seen her side of the story. Because I went into the meeting with an open ear I was able to learn more about what I was doing to contribute to the problem. In addition, because she felt like she was being heard, she was able to hear the points that I thought were important from my point of view. Afterwards I started to reflect on the value of a good argument. I know it sounds odd. I know a lot of people who do their best to avoid the kind of confrontations that lead to arguments. The problem with this is that these people miss out on all of the positive things that can come from a good argument. The American Civil Rights Movement was based on the argument that all men are created equal. The American Revolution was based on the argument that it wasn’t right to tax a nation into poverty without giving them a voice in government. Martin Luther is famous for the 95 theses that he nailed to the door of the church in Wittenburg that kicked off the Protestant Reformation. Every thesis was an argument against the status quo. Whenever you see a situation in history where an oppressed people rise up to fight against the evil and corruption of their leaders you will find the seed of their discontent sown in the form of a good argument. A good argument challenges your beliefs. It forces you to dig down past your top layer of beliefs and examine why you believe what you believe. This process leads to one of two outcomes. If your belief is supported by a strong foundation then it will stand up to your questioning and you will determine that you were right. This serves to strengthen the original belief with the knowledge that it has been tested and proven. This is much the same as the process of forging a sword where the metal has to be heated and cooled multiple times to reveal the weaknesses and stresses on the blade. If this doesn’t occur then the sword is at risk of breaking in the heat of battle, most likely costing the wielder his life. Your beliefs are a lot like a sword and good arguments are the forging process that can prevent them from breaking unexpectedly as you deal with the day to day battles of life. The other thing that can happen when you challenge your beliefs is that you find that the reasons you used to support what you believe are faulty. A good argument is especially useful for this purpose because you are being challenged to test those foundations and it is very difficult to believe something that doesn’t make sense when it is being challenged directly. In this situation you can search for additional information that supports your belief or you can accept that your old belief was incorrect and replace it with new information. Our minds remind me of a data warehouse in the IT world. The warehouse will typically have “floors” of information that help keep things organized and allow you to build upon a solid foundation. The first floor is where the raw details are kept. In a person these are the individual events that form the foundation of your experiences. The second floor is the layer where data is grouped into logical summaries. In a person this is where they group those individual events into trends that lead to expectations. In a data warehouse the third floor is typically a reporting layer. This is where the information is summarized further and broken in to parts that are easily consumed by a reporting tool that people will use to inform their decision making process. In a person the third floor contains the final beliefs that are culled from your experiences and are used when you are making a decision. Most people operate exclusively on the third floor. It is much easier to live a life with the beliefs that you already have in place than it is to challenge them and verify them. However, it’s only when we take the steps to challenge our beliefs and verify them that we can grow and develop as people. 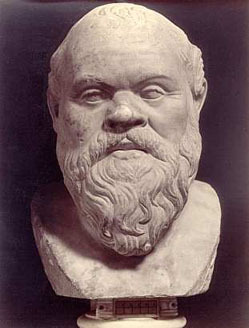 It was Socrates that said, “The unexamined life is not worth living”. A good argument serves as the impetus to examine your beliefs. It pushes us to run a diagnostic on our beliefs just like a mechanic does a diagnostic on your car to identify a faulty system or part that is causing problems. I think it is important to understand what I’m talking about when I say a “good argument”. I’m not talking about a verbal fight where people are doing their best to hurt each other. I’m describing a situation where your beliefs and actions are clashing with someone else’s, causing one or both of you pain. This is extremely frustrating and can lead to an emotionally charged exchange where two people are describing their experience and trying to get the other to see their point (and stop hurting them). If the situation turns disrespectful or one party refuses to allow the other to speak then you cannot have a successful argument. Unfortunately there are some people who cannot engage in a good argument. I think the most typical reason is that they aren’t mature enough to know why they believe what they believe and so they resort to other tactics that push their opponent away. One thing that we’ve all seen is insults. As soon as someone turns to insults you know that you have won the intellectual portion of the argument. They are turning to insults to try and discredit you the same way that a lawyer tries to discredit a witness so that their testimony will be discounted. If they can discredit you then they will have given themselves a reason to ignore the information you’re sharing which could have changed their belief if they embraced it. In this situation feel free to point out exactly what they are doing. If they continue it then leave the situation, they aren’t ready to hear the truth. I just finished a series on having the courage to fail and it strikes me that the desire to avoid confrontation and arguments is directly related. You don’t want to be a person that operates under a faulty set of beliefs just because you can’t stand the pain of being wrong. If you don’t examine the reasons you believe something then you run the risk of being wrong (and ignorant) forever. But if you are willing to examine your beliefs and willing to engage in an argument or two then you will truly possess the knowledge that you only think you have today. Posted on June 18, 2011, in Personal Development and tagged Argument, business, Friendship, Personal Development, Psychology, Relationships, self-awareness. Bookmark the permalink. 1 Comment. Another solid article…arguments that are productive are extremely useful. Arguments that become petty will damage relationships. I think one of the problems that I have is the standing up for yourself to have that argument. I am always concentrating on what people think of me, and courage to do an affective argument fails me. As for the insults…that is the easiest path because it is not productive and makes the person feel superior. Problem is by going that route you will damage a relationship so badly that it might never be the same again.